I moved into a house with my best friend and 5 strangers in our last year in College. We all were so different but became the best of friends. 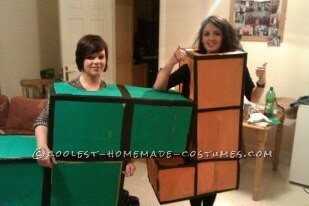 For the Halloween party that year I came up with the idea of dressing up as Tetris. It sounds cheesy but it resembled the way our personalities fitted together. 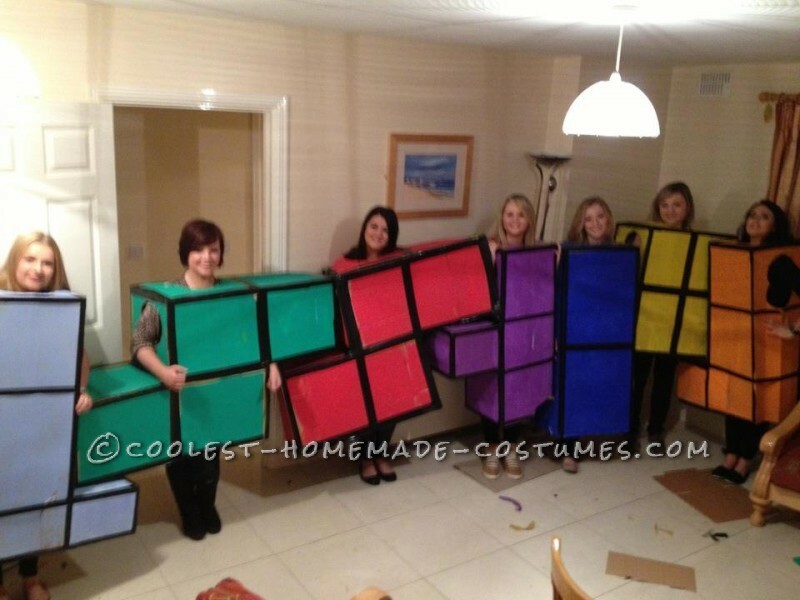 The Tetris Blocks group Costume may look difficult to make but everyone chipped in together. We went around to several stores collecting large cardboard boxes. We cut them down into equal sized squares, making sure the width measure was equal to the largest group members waist. This was to keep the scale as small as possible, as some of the shapes are quite awkward!! Once we had the shapes cut we assembled the boxes into their tetris shape and secured with parcel tape, both inside and out. This was the most tricky bit and requires many hands for the more difficult shapes. Some of the parcel tape was covered with paper as during painting, the paint wouldn’t stick. When each individual shape is formed the painting begins. Then to add the final touches the outline of each tetris block is done using a thick black tape. The space for the arms and head can be cut!! Ta da…. 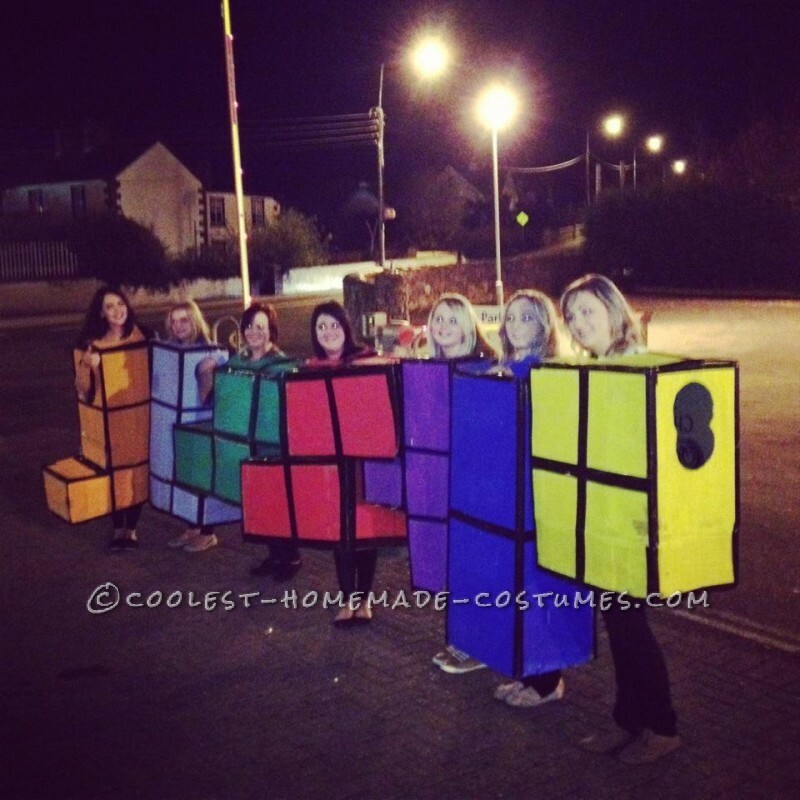 The best part of the whole costume was that we slotted together which really got a great reaction.